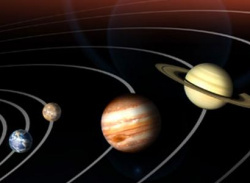 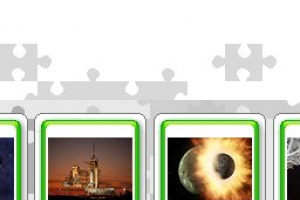 Puzzle to Go Planets and Universe is the jigsaw puzzle for people on the move. 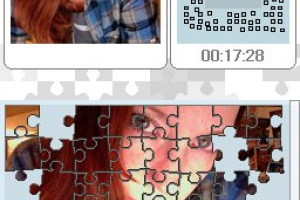 Puzzle together ten of the most beautiful motifs wherever and whenever you like. 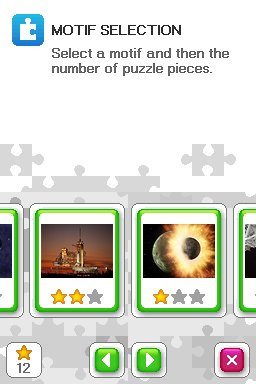 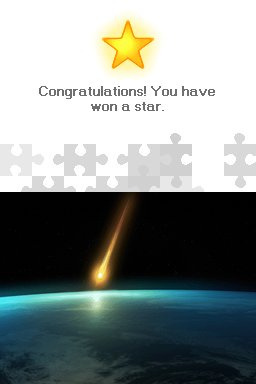 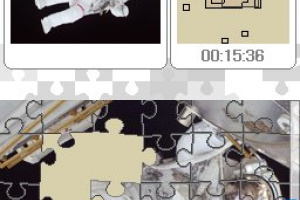 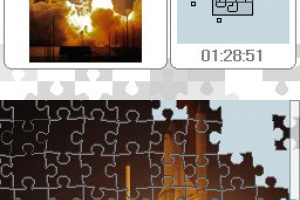 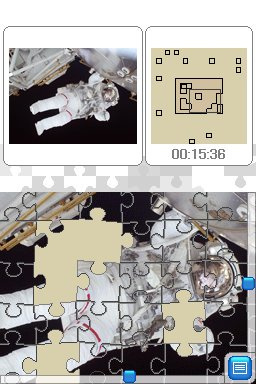 Collect stars for each completed jigsaw puzzle and release new images. 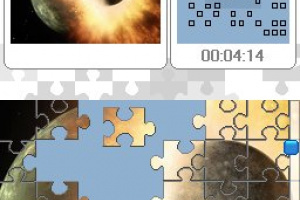 Each motif is available in three different levels of difficulty, so you are bound to come back for more fun. 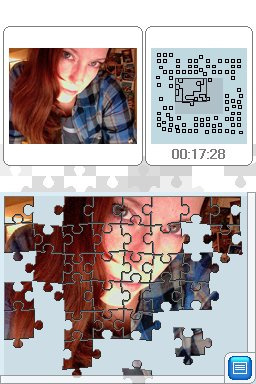 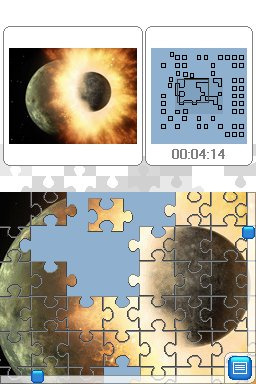 Puzzle to Go also allows you to puzzle together all the images from the photo album on your Nintendo DSi. 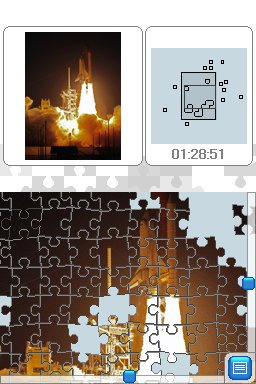 There are many of us who enjoy doing jigsaw puzzles and have been waiting patiently for this company and a few others to release some of their DSiWare jigsaws. 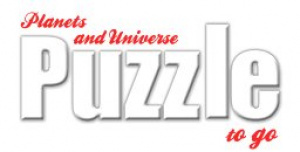 I haven't seen ANY releases yet and the reviewer says this one is the 4th installment? 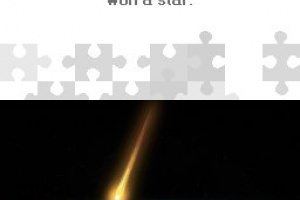 Well, what's wrong with us in the U.S.?